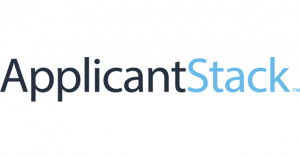 With the recent acquisition of ApplicantStack, we are updating our logo to match the SwipeClock branding. We are excited to unveil our new logo! WorkforceHUB is a one-stop source for payroll and HR related information. Employees get the information they need through a single portal, saving time and reducing errors or miscommunication. The portal includes core HR workflows, employee engagement tools, payroll records and easy connection to third-party apps. TimeWorksPlus and TimeSimplicity come plugged into the hub, complete with all their timekeeping and scheduling capability. Employees access the portal via smartphones, tablets or other web-connected devices. Punch tracking, job costing, break enforcement, time-off requests, time card approvals and accruals. All TimeWorksPlus features included. Build schedules based on business need, skills required, labor law constraints, employee preferences and much more. Manage multiple shifts with ease. All TimeSimplicity features included. Give employees easy access to pay stubs, 1099s, direct deposit receipts and W2s. Empower them to update tax details (W4) and personal information. Simplify the new hire experience. Step employees through activation, benefits, handbook review and more. Ensure timely and accurate completion of all tasks. Streamline benefits renewal and change processes. Provide cost analysis, selected benefits, and benefits summary confirmation. Step employees through enrollment including electronic signature. Add structure to the review process. Create your own questions and track responses. Attach employee and manager review documents. Drive the process to completion. Easily build workflows for any common task. Automate processes that require acknowledgment to ensure compliance. Create and display alerts within the portal. Use templates for common alerts. Set triggers by recipient type or hire date. Build custom fields such as next review date. Copy the manager. Publish a company directory and announcements, birthday list, recognition wall and more. Enable an anonymous suggestion box. Provide a document and link library, and require read receipts for key items such as the employee handbook. See why more than 30,000+ employers manage their teams with our products. For more information about the SwipeClock acquisition, click here to learn more about the acquisition. PreviousPrevious post:How to Ensure Compliance with Company PoliciesNextNext post:What Is a Job Posting?